ALEX Mandala Sidewalk Art Kit Just $3! Was $13! 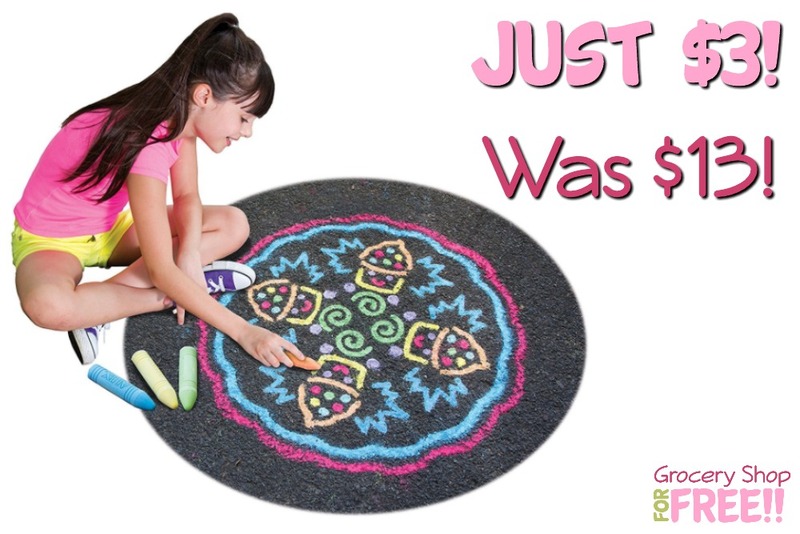 You are here: Home / Great Deals / Amazon Deals / ALEX Mandala Sidewalk Art Kit Just $3! Was $13! Here’s an awesome deal you can grab today! You can get this ALEX Mandala Sidewalk Art Kit for just $3.18! Down from $13 – if you have Prime and spend $35 or more you can have this delivered TODAY! ALEX Toys Artist Studio Sidewalk Mandala Sweet Stuff provides big, outdoor sidewalk fun! Kids can create beautiful cupcake and candy mandala designs in chalk- intricate patterns are easy to create with the 22.5” fold-out stencil.